Hamburg – Shanghai 2010 | Jugendsozialarbeit Schanzenviertel e.V. 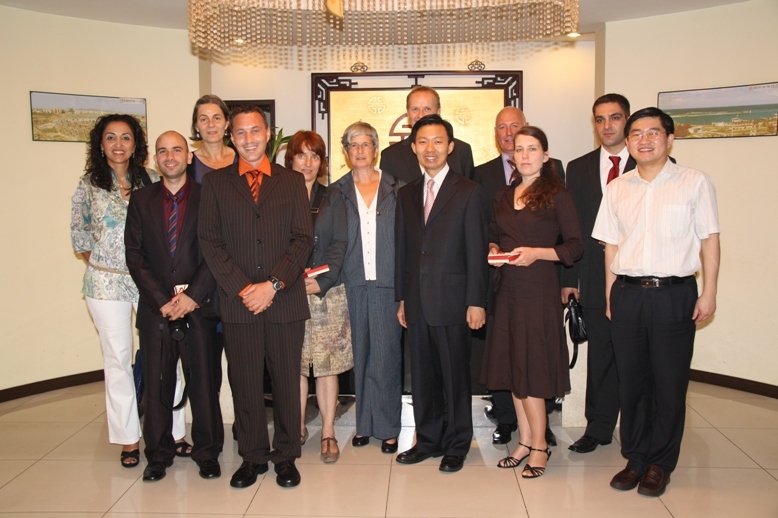 According to the agreement between the All China Youth Federation and the Ministry of Family of Germany, from 24.30.2010 in Shenzhen, the Shanghai Youth Federation invited a German group of social workers, for a meeting and exchange to Shanghai from the 26.07.2010 to 02.08.2010. 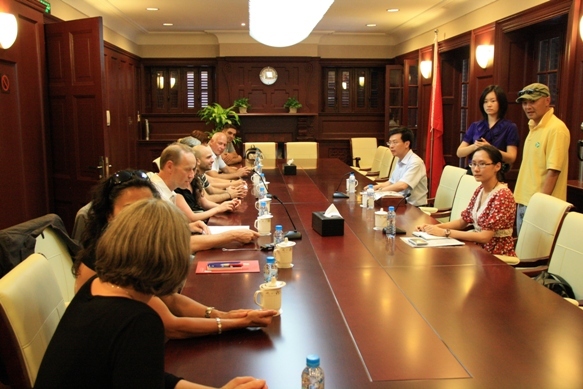 The delegation of Hamburg met the Chairman of Shanghai Youth Federation Mr. Chen Kai. Mr. Chen gave the delegation an interesting overview about all activities of the Federation. The delegation from Hamburg gave a report about the activities from all participants of the delegation. Mr. Pape explained his activities in drug prevention and internet addiction. After this meeting the delegation was invited to a dinner and got a comprehensive introduction in the history and culture of Shanghai. On Thursday we were invited to the Shanghai Sunshine Cummunity-Youth Affairs Center where we met the Vice Director of the Department of Comprehensive Affairs, Mr. Cao Liping and several social Workers. We had an interesting introduction on the activities of the youth social work. We heard about the concept which includes group work and counseling for youngsters. Some topics were: youth crime, situation of migrants, sexuality, youth violence, consultation of parents, drug and internet addiction. The German delegation reported about their experience on those topics. After that meeting, we visited the youth center of Shanghai. We saw a lot of groups and many children who were participating in different activities. It was interesting to see a youth center being used by so many children and youngsters. We also had a demonstration of a ballet group that was rehearsing for international visits. We also visited the anti-drug exhibition which recently was renewed in a very modern interactive style. Friday was the day of leaving for Beijing. On our arrival we visited the Tiananmen square where we could see several important buildings, like the mausoleum of Mao Zedong. In the evening we met Mr. Wan Yuejun and Mr. Wang Yuanchao from the All – China Youth Federation. We had a very interesting discussion about the various activities of the Youth Federation, especially about drug and internet addiction, unemployment, the situation of migrants, the development of social work in China and Germany, the history of social work and job projects in China and Germany. Mr. Wan and Mrs. Hillen from the youth department of Hamburg exchanged gifts of cultural importance. We enjoyed this evening with Mr. Wan and were grateful for the invitation. The exchange was extremely interesting and helpful for the German delegation to learn more about China, the social-cultural background, the historical development and the modernisation of the country. It gave us a first overview on the situation of youth work in Shanghai and China and we had interesting and friendly contact with important people in charge for youth work in China. 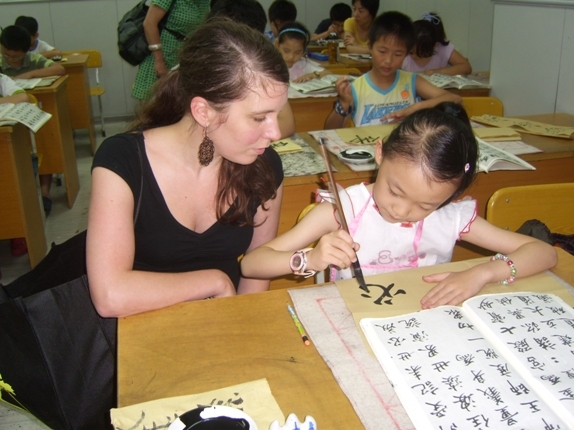 Shanghai and Beijing were different cities reflecting history and fast modern development of China. The Expo gave us an example of the organisational talents of the Chinese. We had a lot of interesting discussions on different topics in youth social work. Key aspects always were drug and internet addiction, unemployment, delinquency and the situation of migrants. We experienced an amazing socio-cultural program with deep and long lasting impact. The organisation of the program and the hosting was professional and perfect. We were accompanied by a very competent and friendly translator Mrs. Guo, who not only took care about us, but also dealt with any concerns and questions out of our delegation. Also the organisation by Mr. Yu Jiao and Mr. Shao Ye was outstanding. Both gave us profound hosting and a perfect procedure. We hope we can invite a delegation from Shanghai to Hamburg next year to intensive the relationship and exchange best practise of youth work in Hamburg.